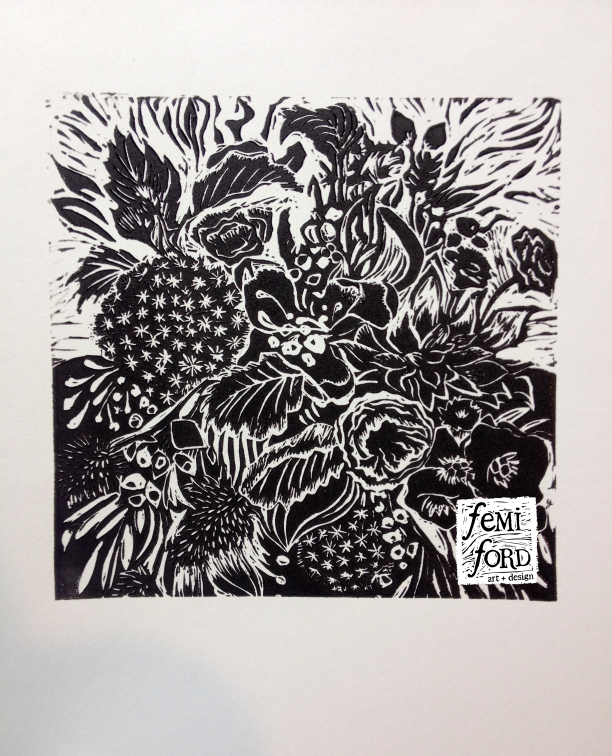 Wild Thing is my new hand carved & printed linocut on paper, now in my Etsy shop. It measures 6×6 inches. Loosely inspired by a wedding arrangement seen in Martha’s Vineyard. I carved this one in a very spontaneous way resulting in it’s ‘wildness’…since that’s where my head is at during the holidays 😉 Hope you like it!